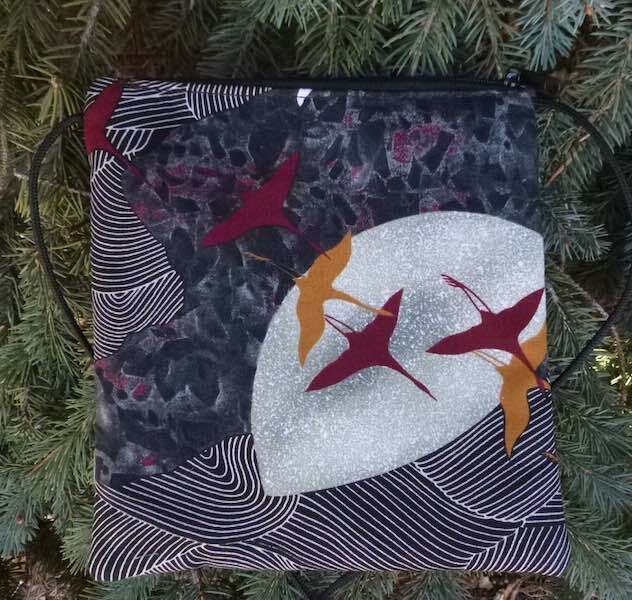 This purse, featuring beautiful Japanese cranes, is sized to hold an iPhone or other smart phones. On the outside is a zippered pocket. 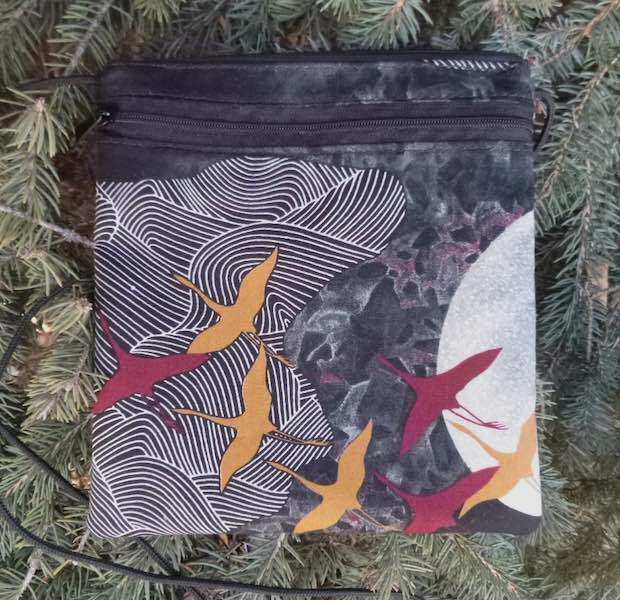 Inside it has the divider just like the Wren, though it is a larger purse. This bag is simple, lightweight and on a string! The Robin is perfect when you want a bag for just a few essentials, if you are running to the store, going to a local festival or out for drinks with a friend this is the bag you need. The interior divider keeps your phone away from clunky items such as keys, the front pocket is a great place for i.d., money and credit cards, or maybe a chapstick and a few tissues. 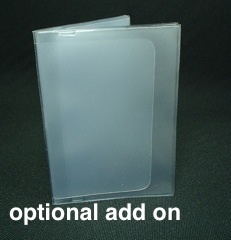 Inside, a simple divider creates 2 compartments for your iPhone or other smart phone and your keys, i.d. and other essentials.